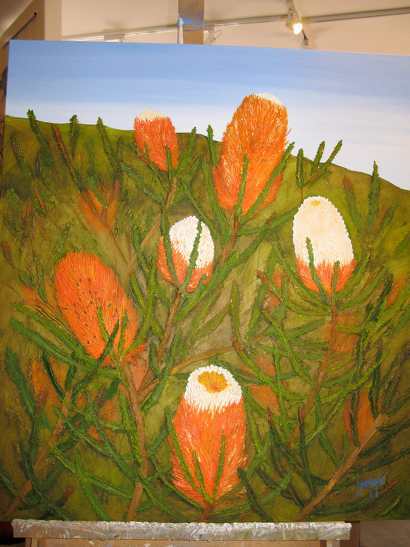 This is one of a series of 3 wildflower oils commissioned for a business in Perth. the others are Paper Daisies and Australian Grass Trees. All of these images can be ordered in print form. The original is framed with a warm silver moulding and an off white insert.